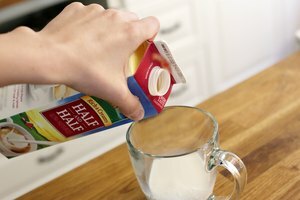 Heavy milk is not a dairy product you would want to pour over your morning cereal. Commonly referred to in the industry as heavy cream, it has a high percentage of butterfat, which is what distinguishes it from regular milk. It even has a higher fat content than regular cream -- the kind you put in your coffee or tea. Heavy cream has 36 to 40 percent butterfat. Cream is made from the fat that rises to the surface of whole milk. The layer of fat is skimmed and separated from the whole milk to produce two products: cream and milk. In the world of cream, a variety of types exist, ranging from half and half cream, which is lighter, to heavy cream, to heavy whipping cream, which is used for making whipped cream and thick custards. Dairy farmers and manufacturers have the choice to pasteurize and homogenize the cream, or leave it unpasteurized and unhomogenized. Unpasteurized, unhomonogenized heavy cream whips more easily than pasteurized, homogenized heavy cream. When you whip regular milk you get air bubbles. But when you whip heavy cream you get a dairy product that doubles in volume. The colder the heavy cream is, the better it is for whipping. 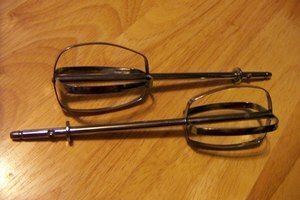 To achieve a thick, whipped cream you can use a fork, hand beater or electric beater. Heavy cream is primarily used in baking. Whipped cream, pie filling, custard and pastries are some of the common uses for heavy cream. 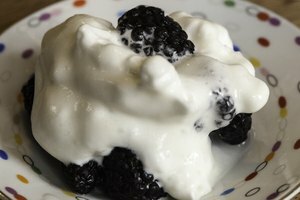 You can also dunk your fresh fruit into heavy cream or drizzle it on top of your pudding. Some savory recipes call for the use of heavy cream, such as extra-creamy mashed potatoes or cream-based soups and creamy pasta sauces. If you ever need to make heavy cream yourself, you can combine 3/4 cup milk with 1/3 cup melted butter to equal 1 cup of heavy cream. Due to the high fat content in heavy cream, it is not healthy to indulge in it on a regular basis. 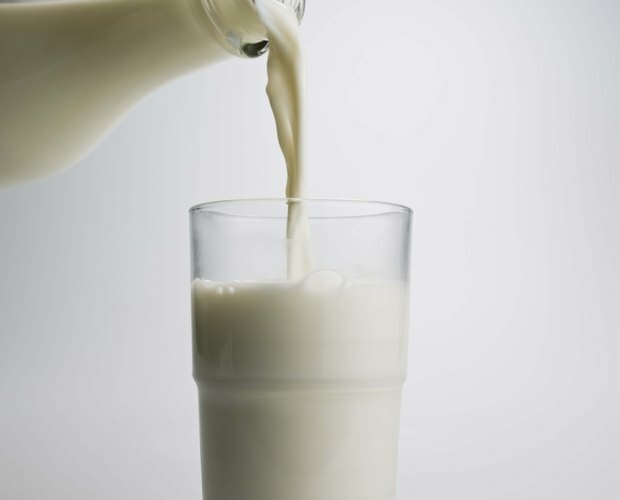 While it might taste good and be high in calcium, certain health risks exist from eating too much high-fat dairy products, such as the clogging of the arteries and high cholesterol. Enjoy dairy products in moderation, and it is best to select milk with lower concentrations of butterfat, such as low- or non-fat milk.